May Day was considered important in the Irish calendar and dates as far back as pagan times. The day marks the coming of summer and was celebrated in a festival called Lá Bealtaine so it comes as no surprise that the Irish had many customs and traditions surrounding this time of year. 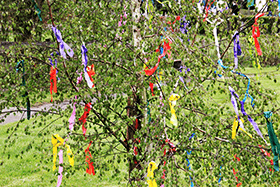 We Irish are very superstitious so a lot of old customs surround superstitions with many occurring on May Day. On the eve of May Day yellow flowers, such as buttercups, marigolds, and primroses, were gathered and spread around the outside of each home. It was thought these flowers would bring luck to the household and keep Cailleachs from entering the home. Cailleachs, old women or hags, are considered bad deity’s or witches and who would go from home to home to steal butter or milk during the morning of May Day. Children would often scatter the flowers outside their neighbour’s homes as a sign of goodwill. Items tied to a May Day bush. One the more older customs, still practised today, is visiting holy wells during the Beltane festival. People would leave personal possessions at the well, tie items to nearby tress, and pray for good health when walking clockwise around the well. The first water drawn from the well during Beltane was considered to have greater power than any other time of the year so it was used to wash, bless property and animals. Such a practice can be found at Doon Well in Co. Donegal. The morning dew of May Day was also considered to have great power, like the holy water drawn from the wells. 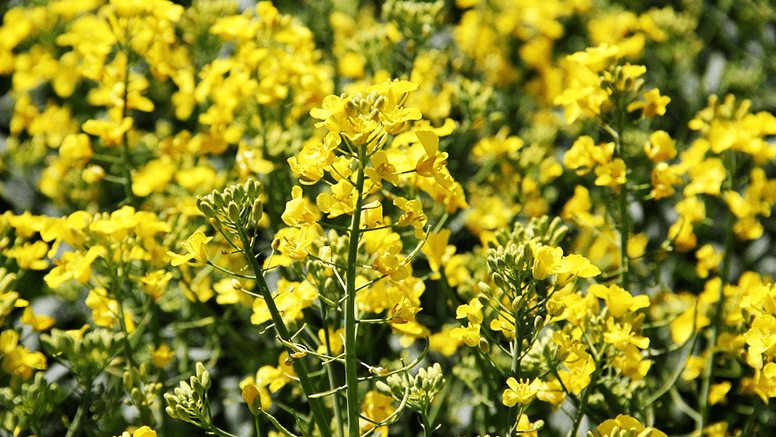 Washing your face with the May Day dew was believed to bring you good health into the next year. Cows were once considered as sign of one’s wealth so there are some old Irish customs involving protecting the herd during May Day. One such custom involved decorating the cows with yellow May flowers and performing rituals to protect them from thieves. It was considered bad luck to let the herd out to pasture before noon of May Day as it was believed the fairies would come along and steal the herd. People believed they would be granted good luck if they milked the neighbor’s cow in the morning of May Day. Doing so would also have their own herd produce a lot of milk for the remaining of the year. It was also believed to grant your neighbor butter and milk of May Day for if you didn’t your cows would fail to produce milk for the rest of year but dont part with coal or salt and this would bring bad luck. Most superstitions surrounding May Day have all but gone from today’s society and so have their customs.